Your comments are moderated and will not appear right away. In order to prevent spammers, I approve all comments posted on my blog. This giveaway will close on January 15th 2014. So if you try to leave a comment after that day, it will not appear. 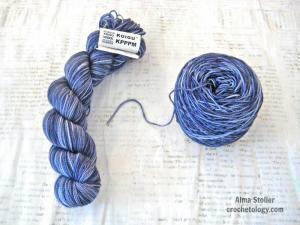 I have been enjoying crocheting with Koigu yarns and I am excited to share this skein with you.